WOBM Shawn & Sue's Making Miracles Radiothon on GIVING TUESDAY! Shawn & Sue’s Making Miracles Radiothon will be held with 92.7 WOBM on Giving Tuesday, November 29th to benefit Children’s Miracle Network Hospitals local beneficiary, Children’s Specialized Hospital. The broadcast will feature many patient stories in both pre-recorded and live interviews at the newly renovated IHOP in Brick, NJ. The goal is to raise $20,000 for equipment at the two Toms River Children’s Specialized Hospital locations. Special thank you to our triple match sponsor, Boscov’s and our matching hour sponsors OceanFirst Foundation, Spirits Unlimited and Brick IHOP. 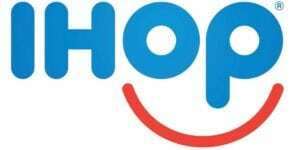 Brick IHOP will also be donating 20% of the proceeds from their full menu until 4 p.m. Owner Lou Maschi and his family have been long supporters of Children’s Miracle Network Hospitals and are, in fact, the largest fundraising IHOP in the entire country for many years running. Join us at Brick IHOP tomorrow, or donate online at www.miracles.kintera.org. Thank you for the miracles! Next post: Donate at IHOP this holiday season!